Concerned about Investment Losses in Payson Petroleum 3 Well 2014 LP? Did you suffer losses investing in a Payson Petroleum 3 Well 2014 LP private placement offering? If so, The White Law Group may be able to help. Payson and Payson Operating both filed for Chapter 7 bankruptcy June 10, 2016, a filing that later was converted to Chapter 11. According to the bankruptcy trustee, after administrative expenses, neither company will have funds available to pay its unsecured creditors. As we told you last November, the SEC filed fraud charges against brothers Matthew Carl Griffin and William Daniel Griffin with offering interests in two Texas partnerships through their company Payson Petroleum. 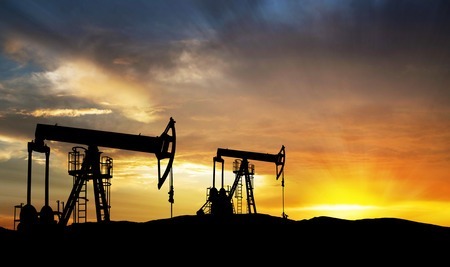 The SEC alleges, between November 2013 – July 2014, the Griffins purportedly conducted a fraudulent two-phase offering of interests in two Texas partnerships, raising $23 million from approximately 150 investors for the purpose of developing three oil and gas wells. The White Law Group is investigating the liability that brokerage firms may have for recommending investments in oil and gas private placements such as Payson Petroleum 3 Well 2014 LP. Payson Petroleum often raises money for investments through Reg D private placement. These Reg D private placements are then typically sold by brokerage firms in exchange for a large up front commission, usually between 7-10%. The trouble with alternative investment products, like Payson Petroleum 3 Well 2014 LP, is that they involve a high degree of risk and are typically sold as unregistered securities which lack the same regulatory oversight as more traditional investment products like stocks and bonds. An additional risk inherent to Payson Petroleum offerings is also the general risk that comes with the energy market – a market that has seen enormous losses over the last few years. Also brokers can earn high commissions for selling Reg D private placements. This may drive them to push the product to unsuspecting investors who do not fully understand the risks of these types of products. To determine whether you may be able to recover investment losses incurred as a result of your purchase of a Payson Petroleum 3 Well 2014 LP private placement investment, please contact The White Law Group at 1-888-637-5510 for a free consultation.